David Sly recently interviewed Dr Bob Hill about the Faculty of Sciences’ commercial partnerships. 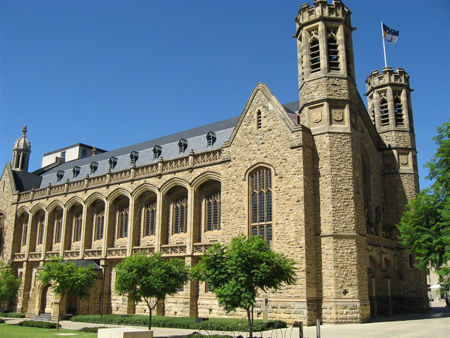 These partnerships have yeilded millions of dollars in research funding for the Faculty of Sciences at the University of Adelaide and this in turn has allowed the Faculty to recruit the best of the best from around the world. A few examples include Professor Andy Lowe from the UK who heads up the Australian Centre for Evolutionary Biology & Biodiversity which focuses on plant change biology; Professor Corey Bradshaw, Research Director of Ecological Modelling who is conducting joint research with South Australian Research and Development Institute at West Beach; Professor Barry Brook, director of the Research Institute for Climate Change & Sustainability, whose blog BraveNewPlanet has attracted more than 500,000 hits. Read the Adelaide Review article for more details.